Become a National Registry of Certified Medical Examiner! 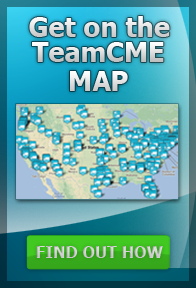 TeamCME is an Accredited National Registry Training Organization that offers Accredited Training for the National Registry of Certified Medical Examiners. TeamCME offers a practice test specific to National Registry of Certified Medical Examiners to help you get certified right away. Get certified today and begin performing the commercial driver medical exam as part of your practice! We want to help you to get certified in the National Registry of Certified Medical Examiners. To assist in this process, we offer an extensive online practice test with detailed reasoning when a question is selected incorrectly. Begin your training today by signing up for our practice test here. Add DOT Drug & Alcohol Testing to Your Services! Fulfill the federal accreditation requirements as a DOT Breath Alcohol Technician or Urine Specimen Collector. Let your staff increase your practice revenue! 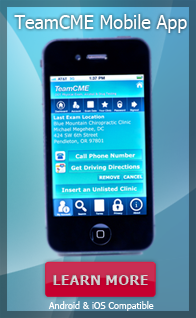 Join TeamCME and be at the fingertips of drivers looking for a DOT Medical Exam!